These posts are a part of a Bible Study/Sermon series I wrote in 2014 on the book of Ephesians. It contains sermons, Bible Study questions, Small Group questions, and devotionals. On Sunday, August 10, I preached a message at Wildwood Community Church based out of Ephesians 6:10-20. This message was the twelfth in the “Packed” sermon series. Below you will see audio and video files of the sermon for listening or download. Now that the series is complete, I have compiled all the resources from the Packed study in one single book. This book is available below for a free download. You can download either the ePub or PDF format of the study. If you end up using this study for personal use or if you use it with your church or small group, I would love to hear about it. Praise God for the gift He has given us through Jesus Christ, and for the great truth He shares with us in the book of Ephesians. On Sunday, August 10, 2014, I preached a message based out of Ephesians 6:10-20 at Wildwood Community Church. Below you will see a list of questions for group discussion tied to this sermon. Brainstorm a list of what you would identify as the most common problems facing churches today. Who do you think is behind these problems? People, or someone/something else? In the world today thousands of Christians are being persecuted for their faith in Jesus Christ. Many times this persecution is carried out by radical elements of other faiths, government institutions, or other people in authority. How does identifying that the devil and his demons are behind these attacks impact your understanding of this persecution? One of the blessings that God has packed inside every believer is a “suit of armor” to provide protection for Christians as they live out their lives on the earth. As you read through Ephesians 6:10-20, what stood out to you most about the WAY God protects those who are “in Christ”? Paul mentions that the “shield of faith” protects the Christian from the devil’s “fiery darts.” How does faith help protect someone from the devil’s attacks? How does living out our faith amongst other Christians help protect us from the devil’s attacks? How frequently do you pray for the expansion of Jesus’s kingdom in this world? It is very easy in the church to spend time planning events, doing activities, and staying busy. However, understanding the nature of our spiritual battle, we should never cease to pray. What are some ways in which you can begin praying more for Jesus ministry in your community? We often pray for physical needs, but sometimes we forget to pray for spiritual things. Think of a friend who you can begin praying for THEIR ministry to others on a regular basis. Who is a friend who you could ask to begin praying for YOUR ministry on a regular basis? Any particular application you took away from this passage this week? A few years ago, Pastor Bruce Hess preached a series of messages through Ephesians 6:10-20. At the conclusion of that series, he wrote a “Spiritual Battle Prayer” as a sample of one way Christians could pray their way through putting on their “spiritual armor” in Christ. Below, you will find this prayer in its entirety. Heavenly Father, I thank you for providing through the Lord Jesus victory over Satan and his forces of darkness. I acknowledge the reality of the spiritual battle and my need to be strong in the power of Your might. I recognize that it is essential to put on the full armor of God, so that I can stand firm against the wicked schemes and strategies of the enemy, as he seeks to sabotage my spiritual life and to discredit the testimony of Christ’s church. He will tempt me in my areas of weakness (He is the tempter). He will seek to have me believe what is not true (He is a liar and deceiver). He will assault me and hammer me with my failures, hoping I will become discouraged and give up the fight (He is a slanderer and accuser). He will seek to breed misunderstanding and conflict, and thus undermine my relationships, both in my family and in the church (He is the destroyer). By faith I now put on the BELT OF TRUTH. I desire to have my life wrapped with the Word of Truth and to live a life of integrity before You (The BELT OF TRUTH holds everything else in place and keeps the rest of my armor from being in a disarray). I embrace Him who is the truth, the Lord Jesus, as my strength and protection from all of Satan’s deceptions. I want the truth of Your Word to gain a deeper place in my life…I pray that it will be my heart’s delight to read, study, and live it. I ask You through the Holy Spirit to protect me from embracing any of the enemy’s lies. Show me, Lord, any way in which I am being deceived. Show me where I am not being open and honest before you. [Be silent for a few minutes and allow God to bring any such areas to your mind] Guard me from rationalizing or justifying my attitudes and actions. Give me the courage to call sin, sin. Protect me from being double-minded, content with a credibility gap between what I know and how I live. Thank you for providing this part of the armor. I truly want to live a life of integrity before You and before men. I desire to believe only the truth, to speak the truth, and to live the truth. By faith I now put on the BREASTPLATE OF RIGHTEOUSNESS. I desire to take refuge in Christ’s righteousness and to live a life of purity. The enemy will slander and accuse me, and attempt to use my failures as ammunition against me. I claim as my protection the righteousness of Christ. Thank you, Father, for declaring me righteous in Your eyes because of what Jesus did on my behalf. Protect me from being discouraged and disgusted with myself, and giving up the fight. I reject all such attitudes by faith. Give me insight to recognize the attempts of Satan and his forces to undermine my spiritual life and to disintegrate my testimony. Keep me alert to even the little sins, which can easily become an opening for the enemy to build a foothold in my life. I look to you, Holy Spirit, to be effecting pure thoughts, holy attitudes, and righteous actions in my life. May my heart love that which is righteous and reject that which is sinful. Father, I desire to live in a holy manner that honors You and gives glory to my Savior. By faith I now put on the SHOES OF PEACE. I desire to find spiritual traction in my peace with God and to live as a ambassador of peace, being both a peacemaker and a proclaimer. I accept and affirm your declaration that I am justified and have peace with you. Thank you for no longer being angry with me and for being on my side. If God is for me, who can be against me? Knowing that I have peace with You and that my sins are forgiven is the most wonderful knowledge anyone can have! I acknowledge my need to have my feet firmly on the solid rock of the peace that You have provided in order to withstand the assaults and accusations that come my way from the forces of darkness. They want me to believe that you are angry with me, ready to reject me and pound me mercilessly with some heavenly bat. Thank you for the acceptance that is mine through the work of the Lord Jesus. Help me, Father, to live as an AMBASSADOR OF PEACE. I affirm that the enemy seeks to undermine and destroy relationships in my family and the church by breeding misunderstanding and, in turn, propagating conflict and strife. Keep me alert to his schemes. I desire to emulate you and be a PEACEMAKER, not a troublemaker. I commit myself through Your power to actively pursue that which will make for peace and unity, either between myself and others, or between my brothers and sisters. Like you, I want to be slow to anger and quick to forgive. I also desire, Father, to be a PROCLAIMER, which I acknowledge is a vital role for any AMBASSADOR OF PEACE. Deliver me from any complacency on my part that results in hoarding my peace with you. Truly, knowing that you have peace with God and that your sins are forgiven is the most wonderful knowledge anyone can have! Nothing counters the activity of Satan and his demon forces like the proclamation of this good news. I ask that you open doors of opportunity at work, at school, and in my neighborhood for me to share with those who are ready to hear about the wonderful work of Jesus Christ on their behalf. Help me then to recognize the doors you’ve opened. By faith I now take up the SHIELD OF FAITH. I want to rest in Your character and promises, and live in Your presence. I am placing my trust in Your promise to be a shield to any who take refuge in You (Prov. 30:5b). I recognize that Satan and his evil forces are out to damage, devastate and destroy. He desires that I begin to question you, doubt your promises, and live my life independent of you. May my focus be on Your righteous character and sure promises, not on the flaming missiles of doubt, discouragement, and temptation. At this very moment I am counting on Your presence with me to protect me from the barrage of flaming darts and arrows that Satan and his forces are shooting my direction. Thank you that I can confidently say, “The Lord is my Helper, I will not be afraid.” Thank you, Lord, that You are my SHIELD and apart from Your sovereign purposes Satan cannot even touch me. By faith I now take up the HELMET OF SALVATION. I want to stand confidently in the certainty of my future destiny, and, in turn, live my life in light of eternity. I rejoice greatly in the fact that nothing–not angels nor powers nor principalities nor my failures–shall be able to separate me from the love of God, which is in Christ Jesus my Lord. Thank you for guaranteeing my safe delivery to my heavenly home by sealing me with the Holy Spirit. Help me in the midst of the battle to remember where my real home is. Give me an eternal perspective. As I live here as a temporary resident I desire that my investments of time, energy, and resources be made with the eternal in mind. Thanks for the confidence I can have that no matter what happens, You will see me through! By faith I now take up the SWORD OF THE SPIRIT, which is the Word of God. I desire to speak out Your Word, as the Spirit leads, in direct response to the attacks of the enemy. I affirm that while You know all things–even the thoughts of a man–Satan does not. Therefore, when I desire to stand on Truth and use your Word to counter the attacks of demonic evil forces, I need to speak out audibly (even though it may feel awkward or strange). Thank you for the clear example the Lord Jesus provided for me when he was tempted in the wilderness. I recognize that quoting a verse is NOT some magical formula, but it is an effective weapon in driving the enemy back. Holy Spirit, grant me wisdom to apply the Word in light of the enemy’s tactics. I also recognize that Satan himself will use Scripture in the battle, twisting and misusing it, yanking it out of context. This underscores the need for diligence so I can handle the Word of Truth accurately (2 Tim 2:15). I readily admit that I cannot speak what I do not know! My commitment before You is to read, meditate on, memorize, and study Your Word. Let Your thoughts become my thoughts. Father, open my heart to love your Word, and thus to know and love You more intimately! Thank you, Lord God, for the armor You have provided. The necessity of putting it on daily is a reminder of both my need and Your provision. I affirm that the weapons of our warfare are NOT the weapons of the flesh, nor of the world, but are weapons of Divine power to demolish strongholds of the enemy. I desire through the strength of Your might to bring down every falsehood that sets itself up against the knowledge of God, and to take every thought captive and make it obedient to Christ (2 Cor. 10:4-5). Help me to keep this armor well oiled in prayer. Grant me great burden for others in God’s family. Enable me to see their needs and to assist them through prayer as the enemy attacks them. Help us all, Lord, to lock our shields of faith in unity, so that we can walk together, stand together, and fight together against our mortal enemy. Thank you that in all these things we are overwhelmingly conquerors through Him who first loved us. 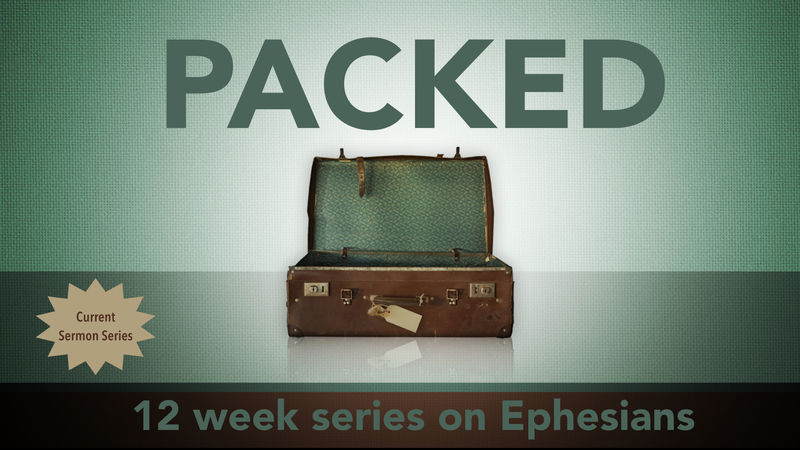 This Sunday at Wildwood Community Church, I will be preaching the 12th and final message in our “Packed” sermon series. If you are in the Norman area, we would love to have you join us in either our 9:30 or 10:50 worship service. Given the context of Ephesians 6:10-20, why do you think it was appropriate for Paul to conclude his admonition with a call to prayer? Francis Foulkes, reflecting on Ephesians 6 (and the heart of man) said, “Man very easily takes his difficulties to his fellows instead of to God.” Do you find this to be true in your life? Has Ephesians 6:10-20 inspired you to “pray always” as Paul mentions in 6:18? Why or why not? We are to pray “in the Spirit.” The Spirit’s ministry in prayer is extensive, helping “fill in the gaps” of our communication with God. Where we have deep feelings and no words, the Spirit helps translate those feelings to God so that we can experience complete fellowship with Him. Have you ever had a time when you were so full of emotion, you could not even find the words to articulate how you felt? God fully understood you in that moment through the ministry of the Holy Spirit. How does knowing we are fully known and understood encourage you in prayer? It is important that we remain “alert” in prayer. There are certain times and seasons when most Christians are eager to pray, however, there are also times when we drift into prayerlessness. Paul wants us to be alert to always pray, not just sometimes, but even when we don’t feel like it (6:18). What are times in your life when you are reminded often to pray? When do you find it difficult to remember to pray? God wants Christians to pray, not only for their own needs and struggles, but also for the needs of “all the saints” (6:18). Specifically, Paul wants them to pray for his ministry in spreading the Gospel of Jesus Christ. Far more than just praying for each other’s temporal struggles, here we are called to pray for each other’s ministry. Do you have brothers or sisters in Christ who are regularly praying for your ministry and your opportunities to share Christ with those around you? Are you regularly praying for the ministry of another? If not, how can you make progress to pray more for “all the saints” this week? Specifically, Paul asks for prayer that he would be bold in his proclamation of the Gospel. What would a “bold” testimony for Jesus Christ look like for you in your current context? In your family? In your neighborhood? In your workplace? Reflect back on the past 12 weeks of this study. What are one or two of the big things God has taught you through your study of the book of Ephesians? What are one or two takeaways you have from this “Packed” study? STUDY NOTE: Paul wrote this letter to the Ephesians while under Roman arrest due to his insistence of sharing Christ with the Gentiles (Ephesians 3:1-13). Additionally, as Paul wrote the letter, he was most likely chained to a Roman soldier (Ephesians 6:20). Given this context, it is not a surprise that Paul would use the attire of a Roman soldier as an analogy for our spiritual battle. It is almost humorous to imagine Paul looking at a sleeping soldier beside him, while God inspired him to use that image as a part of our New Testament! Also, the Roman Empire (including Ephesus) was filled with soldiers who were all dressed in similar uniform. This made the attire of a soldier something to which Paul (and his audience) could relate. Paul commands believers in Ephesians 6:13-17 to “take up” and “put on” the full armor of God. This implies that the armor is something that all who are in Christ have already been given (it was packed inside us at the moment of our conversion). We are not to “acquire it” but to simply “put it on.” Additionally, as we put it on, we are simply to “withstand” or “stand firm.” This implies holding fast to territory that has already been conquered by Christ. What do you think it means for a believer to “take up” the armor of God? What would it look like on a daily basis to put on this full armor? In 6:14a, Paul encourages the believer to put on the belt of truth. The belt was an important piece of equipment for the Roman soldier. It held the tunic in place when the soldier was ready for battle, secured the protective breastplate, and was the holding place for the soldier’s sword. Paul here encourages the Christian to put on truth, which is the base anchor that holds together our protection in Christ. In spiritual battle, the Christian does not fall back on simply nice sentiments or warm feelings. Our faith is anchored to rock solid truths that will not change with the shifting sands of time or emotion. In what way does truth provide a solid foundation for your spiritual life? What does it look like to “gird yourself in truth” daily? The Roman soldier also wore a breastplate that covered their torso, front and back. The breastplate provided solid lifesaving protection for the soldier in battle. The believer is called to put on the breastplate of righteousness (6:14b). This seems to be a call to rest behind the righteousness of Jesus Christ (who allows us to be clothed in Him assuring our salvation). It also seems to be a call to a righteous lifestyle. Satan wants to accuse God’s children by saying that we are unworthy recipients of God’s grace. How does resting in the righteousness of Christ and living a righteous life help protect the Christian from Satan’s accusations? In Ephesians 6:15, the soldier’s shoes are mentioned. A soldier’s shoes had nails driven through their soles allowing them to have firm traction while in battle. The Christian is said to put on the “shoes” of the Gospel of peace. Shoes are a fit reference for the Gospel since the feet of the one who shares the Gospel are called beautiful in Romans 10:15-18. Additionally, though, the thing that keeps the Christian stable on the shifting grounds of our culture is the good news of Jesus Christ. Because of Jesus work on the cross, we have peace with God, thus allowing us stability in life. In what way does the Gospel allow you to be stable in this shifting world? Next, Paul turns his attention to the soldier’s shield. A Roman shield would have been covered in leather that would have been drenched in water before battle. A common war tactic in the ancient world was to shoot flaming arrows at soldiers. That way, even if a soldiers shield stopped the arrow initially, the ensuing fire would lead to a delayed victory. The Roman soldier’s leather covered, water drenched shield extinguished the arrows after they hit, thus providing protection. 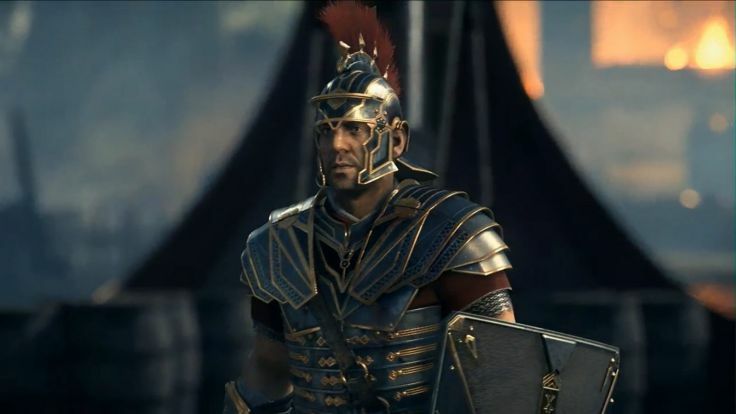 Additionally, the Roman shield was designed to link together with other shields to provide max protection against the flaming darts of the enemy armies. Knowing this picture helps us see how the Christian’s shield of faith provides protections from the devil’s fiery/attacking lies. Not only does faith help disarm Satan’s lies, being in a community of faithful fellow “soldiers” helps protect a Christian from surprise attack. What are some of the fiery lies that Satan uses to attack you? How does faith in God’s truth help counteract Satan’s lies? How do other Christians help you not succumb to these lies? In Ephesians 6:17a, Paul mentions the helmet. Obviously a helmet protects a head and is life saving for the soldier. The Christian’s helmet is said to be our salvation. Not only does our salvation in Christ give us life, it covers our head . . . transforming our intellect. Romans 12:1-2 tells us that our minds are transformed in Christ as we lay our lives down before Him. He gives us new thoughts. In what way have you seen your mind transformed since trusting in Christ? What strength does this offer you against Satan and his schemes? In 6:10 Paul begins his conclusion to his letter. As he starts his conclusion he encourages Christians to (literally): “allow yourself to be strengthen by the Lord.” Based on your study of Ephesians and your knowledge of the Bible in general, how much strength can the Lord offer to those who “are strengthened” by Him? Think of an issue you are facing right now in life. Is the Lord’s power greater than, equal to, or less than the circumstances you face? In your understanding, what does it mean to be “strengthened” by the Lord? What does it look like? How would a Christian go about applying this command? After a call for strength, Paul reminds the Christian why they need strength. He points out that Christians have a real enemy. In 6:11, who does Paul identify as the enemy of the Christian, and how does Paul describe this enemies tactics? STUDY NOTE: There is a significant contrast between God and the Devil. Besides the obvious difference (one is perfectly good while one is absolutely evil), God has the divine attribute of omnipresence (He can be everywhere at once), while Satan is limited to one physical location at a time. This does not mean that Satan only has INFLUENCE in one area at a time, but that he can only be in one PLACE at a time. Satan has influence beyond his single location through his army of demonic angels who follow him. Ephesians 6:12 refers to these demonic angels when it says, “rulers”, “authorities”, “cosmic powers over this present darkness”, and “spiritual forces of evil in the heavenly places.” These are all descriptions of demons who, together with the Devil, wage war against Christians through their schemes. It is important to note that both Satan and demons are seen here as real and as waging war against followers of Christ. Before ever talking about the Christian putting on the armor of God, Paul argues for why armor is necessary by describing the powerful enemy who seeks to destroy and discredit followers of Christ. Paul says that the Christian’s real struggle in life is NOT against other people (“flesh and blood”). Instead the struggle is against Satan and his schemes. This perspective is directly related to the Christian’s purpose in life. The Christian’s purpose in life is to glorify God by growing in our relationship with Him and sharing the good news of Jesus Christ with a lost and dying world. As it pertains to that goal, our chief enemy is Satan, not other people. Since this is the goal of the church, Satan, not other people, is the chief enemy that every church faces. Much of the time, church’s (and individuals) spend time thinking that their enemy is “flesh and blood.” What are some of the things you think are your “enemies” right now? Why do you think that? How would understanding that the devil is your enemy change your perspective and actions? When Paul ministered in the city of Ephesus, a riot broke out in the city. The details of this event are recorded in Acts 19:21-41. Scan those verses and detail what/who Paul might have been tempted to think was his enemy? In what way was the devil Paul’s enemy during the riot in Acts 19? On Sunday, August 3, I preached a message at Wildwood Community Church based out of Ephesians 6:1-9. This message was the tenth in the “Packed” sermon series. Below you will see audio and video files of the sermon for listening or download. On Sunday, August 3, 2014, I preached a message based out of Ephesians 6:1-9 at Wildwood Community Church. Below you will see a list of questions for group discussion tied to this sermon. What are some of the different groups of people that make up the church you attend? Are there some groups that possibly feel marginalized in your congregation? The Ephesian church apparently was made up of a very diverse group of people. Survey back through the book to see some of the different groups mentioned. Some of these groups were culturally powerful, while others were culturally marginalized. Based on your understanding of the New Testament, is there any distinction inside the church? Children are called to submit to their parents by obeying them. By directly addressing these children, Paul shows that the Ephesian children were Christian, morally responsible, and valued by God. What are ways a parent can help children connect their obedience at home to their obedience to God? What are some ways in which a parent can build up their children without exasperating them? What does Ephesians 6:5-8 tell us about how a Christian employee should relate in the workplace? What does Ephesians 6:9 tell us about how a Christian employer should relate to his/her employees? In what way does the New Testament pattern of addressing slavery apply to us today as we try to effect the “big problems” of our world? In what way does it NOT apply today? In 1939, Nazi Germany invaded Poland. At the time of the invasion, more than just Nazi soldiers flooded the conquered territory, but German businessmen followed close behind, eager to make a profit from their countries new-found expanded borders. One of the businessmen who arrived in Krakow, Poland in 1939 was named Oskar. Oskar was able to bribe his way into ownership of a factory in Krakow that he staffed with various Jewish people who lived in forced ghettos in the community. As time wore on, Oskar became more and more rich, while the Jewish workers in his factory became more and more oppressed. Oskar was not the source of the Jews oppression (the Nazi’s SS force was) but he was profiting from the situation nonetheless. 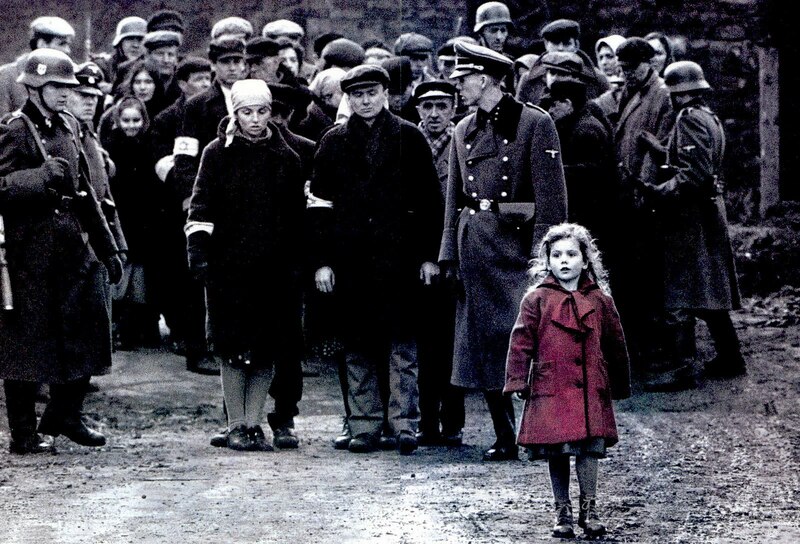 So goes the first “act” of the the 1993 Academy Award winning movie “Schindler’s List.” “Schindler’s List” tells the true story of Oskar Schindler’s transformation from a Nazi profiteer to “savior” of 1,200 Jews during the Holocaust. When Director Stephen Spielberg decided to make this story into a movie, he decided to film it in black and white . . . an intentional play to make the film feel more like a documentary than a popcorn movie. Though the movie lacks color throughout, there is one notable exception. When the Jews were being rounded up in Krakow to be transported to concentration camps, Spielberg introduces a single character into the storyline that left an incredible impact on all who saw the film. He did not introduce this character by having her deliver a powerful line of dialogue . . . we never even got to know her name. Instead, Spielberg introduced her simply by painting her coat bright red . . . the only thing of color in an otherwise black and white movie. We see her running through the crowds in Krakow, trying desperately to avoid the onslaught of the Nazis. Later in the movie, however, we see her red coat strewn about a pile of dead bodies, reminding us that her mission to escape was unsuccessful. As a piece of filmmaking, this was a brilliant move. In a sea of faceless people, we suddenly cared about one individual girl. I remember crying in the theaters when her coat appeared in the pile of dead bodies. As a group we noticed her, and because we noticed her, we cared about her plight. I was thinking about this today as I reflected upon Paul’s words in Ephesians 6:1-9. In these verses Paul speaks directly to two groups of people who had NO POWER in the first century: children and slaves. A parent in the first century (particularly the father) had the right to mistreat his children without consequence. To an even greater degree, a master had no regard for the well being of their slaves. Masters viewed slaves as “tools who could talk.” Sadly the first century viewed children, slaves, (and to some degree) women as second or third class – void of all right and privilege. But, in the Church of Jesus Christ, God is calling people to a different standard. New Testament churches were made up of a variety of people: young and old, slave and free, male and female. Apparently, the young church in Ephesus had all of these people worshipping together in the same room – something unheard of in the ancient world. In Ephesians 6:1-4, Paul gives a direct command to children. By speaking to them directly, he was affirming the fact that they were “in Christ” (if they had trusted in Him), they were valued by God, and that He had expectations for their obedience. He also instructed Fathers to build up their kids, not squashing their spirits. In Ephesians 6:5-9, Paul speaks directly to slaves. He sees them as FAR MORE than “tools who can talk,” he sees them as recipients of eternal blessing! He shows their value by calling them to a life pleasing to the Lord, and he warns their masters to care for them and not abuse them in any way. If you are someone who feels marginalized for any reason (past sin, social status, age, health, income, marital status, etc.) know that GOD SEES YOU and God cares for you. You may feel like no one else knows what you are going through, but God does and He values you, cares for you and redeems you in Christ. For all of us, these verses should be a reminder to care for all around us. Everyone matters to God. Everyone’s life has value. Everyone you see is someone the Son of God felt was worth dying for. This should motivate us to care for the marginalized around us. We sometimes live in a nameless/faceless black and white world. Thankfully Jesus colors the coats of some around us that we might notice them (as He does), and as we notice them that we might care about their plight. All Christians are called “to submit to one another out of reverence to Christ” regardless of what color our coats are. He cares for us all. This Sunday at Wildwood Community Church I will be preaching a sermon based on Ephesians 6:1-9. 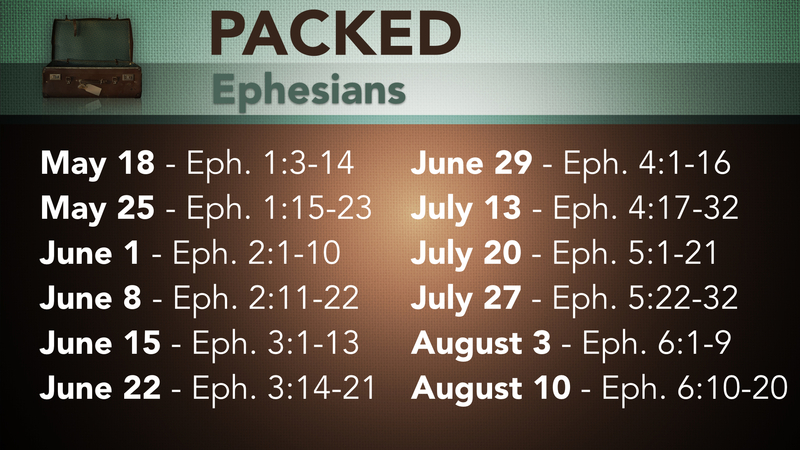 The message will be part 11 in our “Packed” sermon series. If you live in the area I hope to see you at Wildwood this weekend in either our 9:30 or 10:50 worship service.